Do you think Love happens when you’re least expecting and searching it? Definitely. There have been times when I met guys with the intention of starting a relationship but things never worked out. Now I am from head to toe in love with a guy I met over a mobile game. Didn’t expect to meet such an amazing young man while I just played the game for the fun. It's more complex than that! 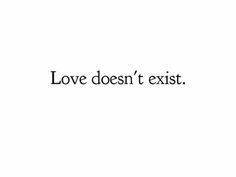 First of all, What kind of love are you after, 1. choosing to love someone or 2. falling in love (to get involuntarily love for someone)? 2 usually happens when least expecting and are extremely hard to get rid off. Faling in love is most common when you least expecting without searching for it. Our brains tend to choose to love when we search for it, there you have 2 years relationship crises, when everything hit you after the flame has stopped burning, some get attached few fall in love verry early when the flame are new. When you get involuntarily feeling thay are still there burning after 2 year's or more. It's a lot more to it than I have mentioned here. Would you date someone who isn't your physical type? Is poor English grammar a turn-off? Will you date someone who has bipolar disorder? Why/why not? Should it be illegal to cheat? Are you a hopeless romantic? You don't look for love. It will find you. Yes. You need to love your own life and value it instead of searching specifically for love. No, it can happen at any point, even if you're actively searching by going out to meet new people or by using dating services/apps. I think that saying more so applies to how you behave when you're searching for love. Like you can't force it or be pushy with people. If you lower your expectations, you might be pleasantly surprised. Goes either way. Some who actually searching for love find it and some who aren't find love as well. Attraction? Yes, Love? No, love is something you build and therefore you have to want it, expect it and stuff. I think it's attractive to be getting on with and enjoying your life, and that's why people say your quoted phrase. Well let me put it this way - actively looking doesn't seem to help. What does help is being open to those around you. In my experience, yes. Searching for it leads to failure. I hope so. That would blow anyone off their feet. Make it that much more special. Yes i believe loves happens when we least expect it to happen. Nope, it's a complete fallacy. It happened that way for me. That's pretty much how it worked for me. I think oftentimes that is the case. No, today love's no longer available. Feminism. Yes, because you cannot find love in my opinion, it comes naturally. no I don't believe it. I think love happens when you are willing to give it a try and you are willing to go and work at it... like meeting lots of guys and getting lots of practice of what guys are looking for and what you can improve to become a better person to bring more to the relationship. When I wasn't ready, there were a lot of guys looking to date me but I said no. when I was ready, I went looking for the guys I wanted to date. There's a big differences, because I actually gave the guys a big chance to date me. I've been looking for almost years. A lot of dating and short romances but nothing worked out. A month ago I just gave up and decided I would just stay alone because I was sick of it. A short time after that love has found me when I wasn't even interested in it anymore. It took him a lot to convince me but he did. I know that's how it happens! Home > Dating > Do you think Love happens when you’re least expecting and searching it?